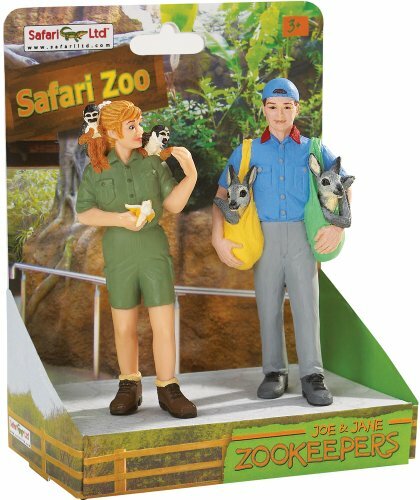 Join us at the Zoo everyday by indulging your imagination with our high quality zookeeper sets. Our figures are action packed, catching the essence of a zookeeper's job; caring and loving our zoo animals. Each figure is finely hand painted and sculpted by experts which ensures authenticity. If you have any questions about this product by Safari, contact us by completing and submitting the form below. If you are looking for a specif part number, please include it with your message.